Wow, what a dismal, grey week we have had! We have been housebound a lot of the week as my son has been sick but I am looking forward to spending Sunday here. 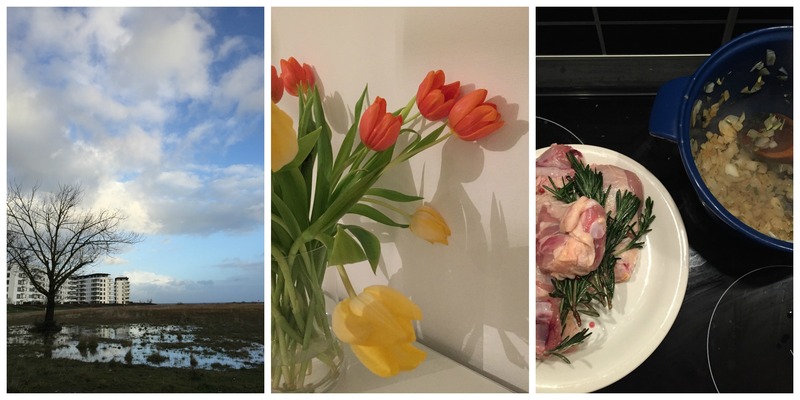 Don’t forget to sign up for the Dejlige Days newsletter hitting inboxes on Tuesday – I shall be talking about traditional Danish foods, surviving winter and what’s on – sign up here. Also I am conducting some research about expats’ experience of relocating to Copenhagen so if you are an expat here please take a few minutes to complete my anonymous survey, thank you. Plenty around the internet this week and here are my picks. Some semi healthy treats here to use all those blood oranges popping up in the supermarkets – well they are better than a Yankie Bar! Interesting take on the events in Paris last week. Feel a trip to Ikea coming on next month – love the tablet stand. The myth of perfection – inspirational thoughts here. Looking for more ideas for healthy eating? Here is a good run down of cookbooks. How to save for holidays. More on the capsule wardrobe concept here. Definitely moving this way. Perfect way to hang the capsule wardrobe here. This city is definitely on my to-visit list. Missing my sandwiches from here now its not round the corner so these may be a good alternative. Perfect for the stylish photographer. Something great to do with the rocks we collected at the beach. I had something like this in Florida – not healthy at all but very tasty. I love Karine’s blog and enjoyed this interview.